The extension of Edison Road created a new four-lane arterial roadway alignment and streetscape between State Route 238 and Roosevelt Avenue with features that accommodate pre-development needs and the ability to serve future built-out access, drainage, and utility requirements. 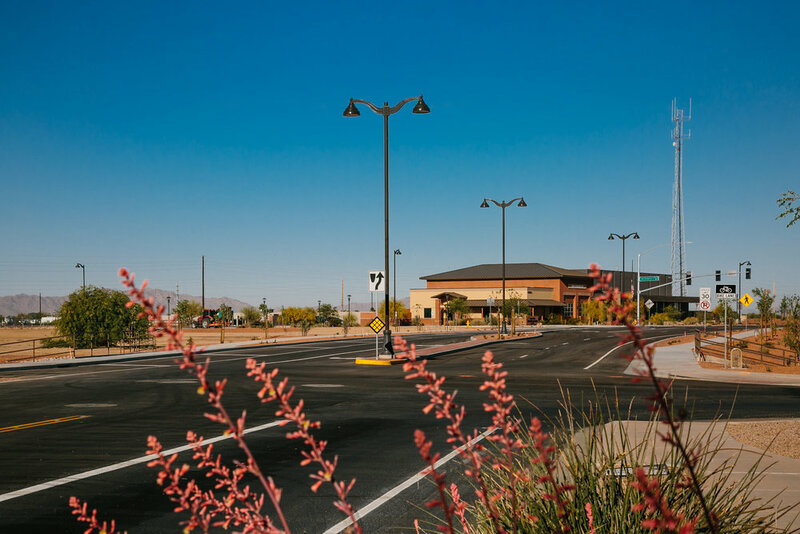 The project provides a relief bypass for traffic on State Route 347 and serves as the main access to Estrella Gin Business Park being developed through public-private partnership to spur development and economic growth. The project was delivered using the Construction Manager at Risk method which provided the flexibility to manage value opportunities, facilitate vital stakeholder coordination, and address scope modifications. Total quantities included 30,300 square yards of pavement and 9,589 lineal feet of wet utilities. 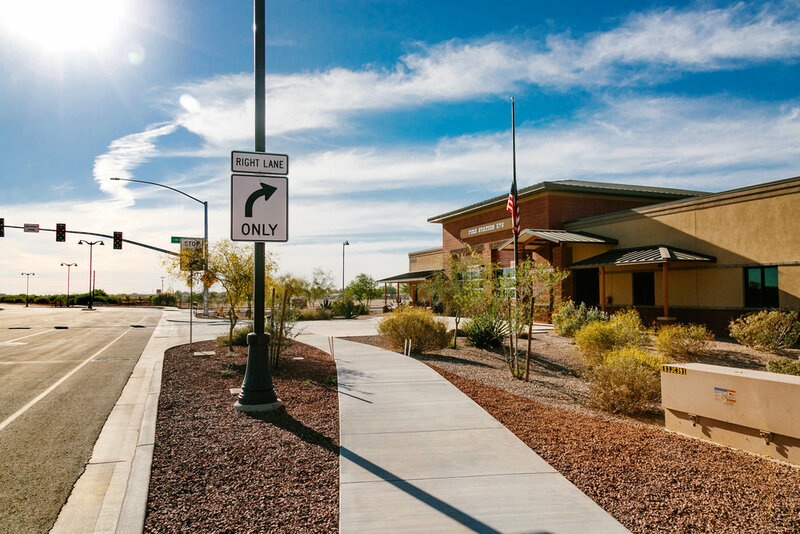 The Edison Road Extension Project consisted of a new alignment extending Edison Road as a four-lane arterial roadway including curb and gutter, sidewalk, medians, and landscaping beginning at Roosevelt Avenue and continuing to the west and north along the alignment of City owned property. The alignment continues north along the developer owned parcels to State Route 238 and includes a new two-lane arterial roadway and landscaped medians with the capability to easily add the two additional travel lanes as traffic volumes increase. 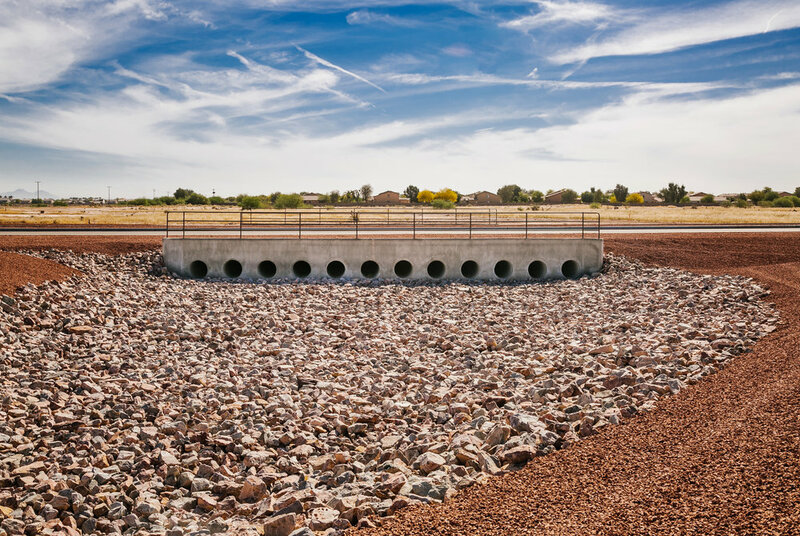 Additional design features accommodate pre-development needs and the ability to serve future built-out access, drainage, and utility requirements. A long-term drainage study was performed to ensure the design accommodated the flood plain flows without altering the flow pattern. 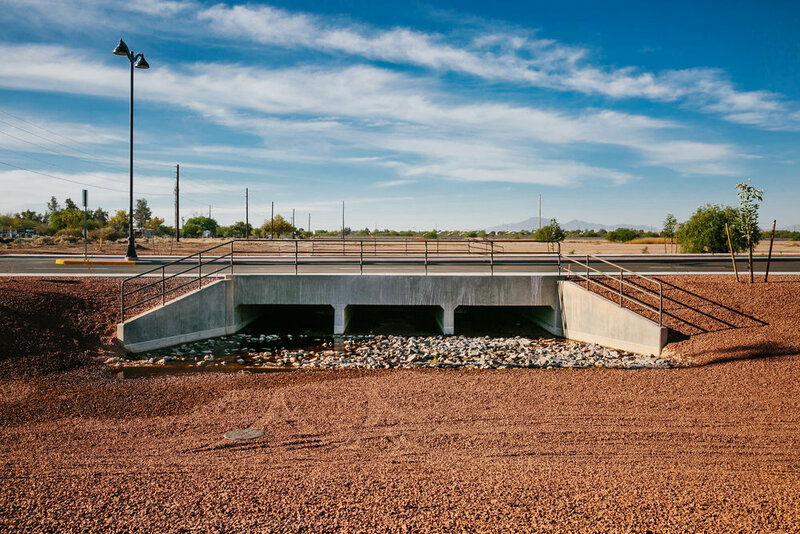 A new box culvert was constructed at the west end of the project and a bank of 12 thirty-inch RGRCP pipes installed on the north end to manage regional flood plain waters through the newly constructed roadway alignment. On the north end of the alignment, improvements were made to State Route 238 by creating right-turn and left-turn movements onto Loma Road/Edison Road. On the south side of the alignment, a new connector street called Estrella Parkway was built to connect Garvey Avenue to Edison Road. The project included the installation of water and sewer services, dry utility duct bank including joint use trench with gas, and coordination with adjacent development and capital projects. A scope addition was included to provide infrastructure and a pad to support the installation of a temporary Fire Administration Facility. 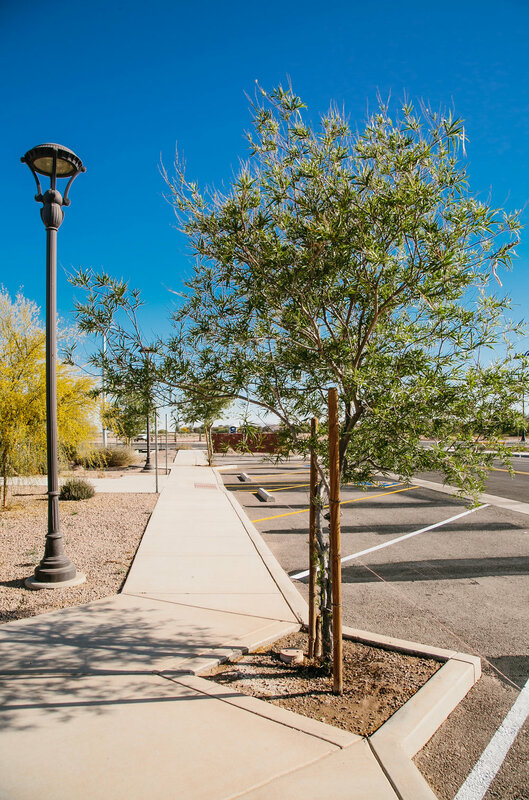 Other elements of the project included temporary retention basins and drywells, new street lighting, water and sewer stubs to future developments, on-street parking along Estrella Parkway, and streetscape elements.